It’s that time of year again - school’s out, the UK weather is pretending it’s still March, and families across the country are feeling the urge to escape for some much needed sun and relaxation! But why spend a small fortune on a family summer holiday when you can do it on a budget? If you’re a savvy mum or dad, wanting to visit some of Europe’s top holiday spots with your little ones, without breaking the bank, then UniversityRooms is your new best friend. We’ve got plenty of family-friendly accommodation options for you to choose from - here’s some of our favourites to inspire you! 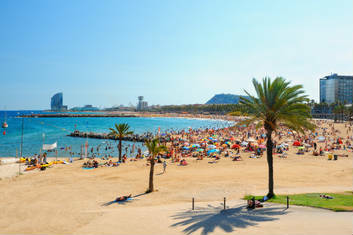 Located on Spain’s east coast, Barcelona has plenty of family-friendly beaches - Nova Mar Bella is particularly good, with plenty of space for picnics and a children’s playground. If you get unlucky with the weather, don’t panic - Barcelona offers plenty of indoor activities to keep the whole family entertained. Kids of all ages (and parents too!) will love CosmoCaixa, Europe’s biggest science museum, and Museu de la Xocolata, an entire museum dedicated to chocolate. Situated in the heart of the city, this small hostel offers modern rooms and has a welcoming family atmosphere. Guests can enjoy free Internet, TV rooms and a sunny terrace. Jardines de Turia is one of Valencia’s best attractions. The old river bed of the Turia which snakes through the city centre has been transformed into an amazing city park, with playgrounds, beautiful gardens and a good network of cycle paths - perfect for a long lazy day of picnics and playing! Easy to reach by foot or public transport, Malvarrosa beach is ideal for families. It’s clean and big enough to accommodate plenty of tourists during summer without feeling too crowded, and there are a number of play areas located all along the promenade. Just 10 minutes from the beach, this university residence is an ideal base for your family holiday. Rooms are light and airy, superb kitchen facilities are available, and there is the option to choose to stay on either a B&B or self-catering basis. Along with a sunny terrace, guests can enjoy a well-equipped gym and a games room. 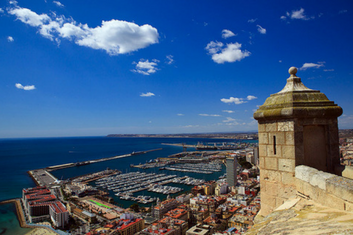 Alicante is very close to some of Spain’s best theme parks - choose from Terra Mitica (with hair-raising rides based on ancient Egypt, Rome and Greece), Terra Natura wildlife park, the MundoMar aquarium, or Aqualandia water park. For a change of scenery, head further north along the coast to the Algar waterfalls, about an hour away from Alicante. The nature reserve surrounding the waterfalls is beautiful, and there are plenty of spots along the river or in pools at the foot of the falls where you can enjoy a swim. 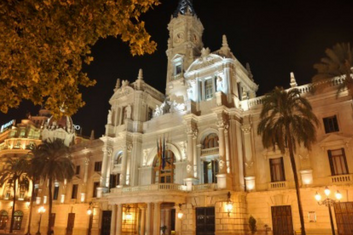 Although this is situated on the outskirts of Alicante, there are superb bus links to the city centre. Rooms are modern and spacious, and kids will love all of the extra facilities on offer - including a football field, basketball court and swimming pool! 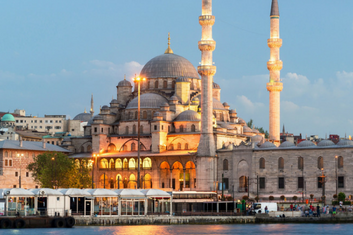 Istanbul is perfect if you have slightly older children and teenagers. Its an exciting city to visit, with beautiful buildings and some unique attractions. A must-visit for adventurous kids is Yerebatan Sarnici - you can explore these eerie underground cisterns via a series of candlelit walkways, with moody classical music adding to the atmosphere. If you’re a foodie family, why not take a group lesson in Turkish cooking at the home of chef Selin Rozanes. You’ll learn how to make delicious traditional dishes and then get the chance to enjoy them all at the end - what better way to spend an afternoon! Located in the district of Buyukcekmece, in central Istanbul, the recently built Republika Academic Apartments are close to all major attractions in the city. The apartments are very modern and spacious, and come with well-equipped kitchens. There are also cafes and restaurants on site, should you wish to eat out. As well as a terrace, there is a large outdoor pool available for guests to enjoy. 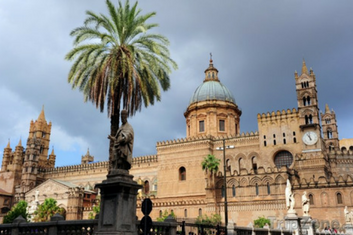 Palermo is a great city for families - spend your days relaxing on one of the many nearby beaches (Mondello and Lascari are our favourites), or wandering through the vibrant street markets. Kids will love the Cuticchio Mimmo puppet theatre, which stages traditional one-hour shows using beautifully handcrafted puppets. For more adventurous families, there are three volcanoes on the island for you to climb, and plenty of opportunities to go snorkelling and diving. Rooms are available in this beautiful 18th century building, which has been recently refurbished. It features modern spacious rooms, communal areas, a gym, free wifi and free parking. The metro stop is only 150 metres away, and it is also within walking distance of the historical centre and its main monuments. The city of Rome is quite possibly the world’s best museum - you’ll learn so much just wandering around the city. To keep kids entertained, set them a challenge to spot as many family crests and symbols as they can - they’ll find lions, dragons, bees, stars and eagles carved into buildings all around the city. No visit to Rome is complete without a visit (or 10…) to a gelateria, and there’s nothing that kids love more than ice-cream! We think the best gelato can be found at Gelateria Fatamorgana, which has locations across the city and an ever-changing selection of flavours. 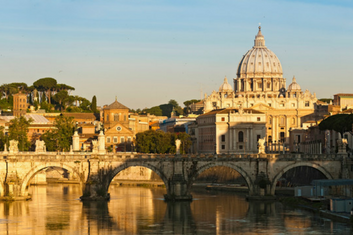 Villa Montemario is in a peaceful residential area, not far from the centre of Rome, and is run Carmelite Sisters. Rooms are comfortable, and children will love exploring the beautiful gardens. The city centre is only 30 minutes away by bus, there is a frequent bus service from/to the centre and the nearest bus stop is just one minute away. Although tiny, the island of Malta hosts some of the best beaches in Europe, and they’re not all flooded with tourists. Just one bay along from the crowded Golden Bay, you’ll find a peaceful haven in Ghajn Tuffieha. 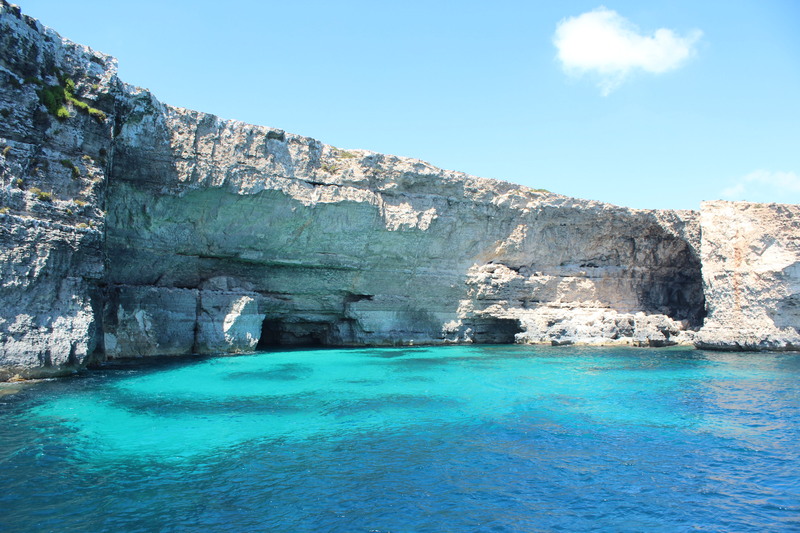 Or for more adventurous teenagers, try the stunning Blue Lagoon on the north coast - with its clear turquoise waters and numerous caves, it’s perfect for snorkelling. To learn about Malta’s dramatic history, take the kids to the National War Museum housed in Fort St Elmo or head to Fort Rinella outside Valletta, where you can watch dramatic historic re-enactments. The NSTS Campus offers modern ensuite rooms, which include free Wi-Fi, fully-equipped kitchens, and access to the large swimming pool. It is a few minutes’ walk from the Gzira waterfront, its yacht marina and low cost eateries, only 3.5km from Valletta and 2.2 km from Malta’s fashionable shopping centre, Sliema. If you’re visiting Valbonne in August, make sure not to miss Cirque Gruss. Established in 1985 and widely considered to be one of the best, the circus travels around France and is only in Valbonne for a couple of weeks at a time. 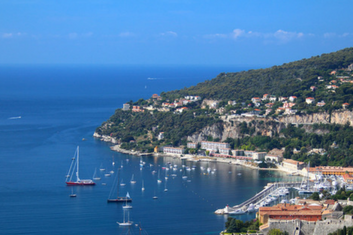 Valbonne is also only a short drive from the seaside cities of Cannes and Nice, which both have beautiful beaches. Kids will enjoy wandering along the Promenade du Paillon in Nice, which is lined with water jets that are a blessing in the hot summer months! The residence Einstein Sophia offers self-catering studio apartments, which include free Wifi, private parking and a communal outdoor swimming pool. The residence is also located just 5 minutes from Park Valmasque, which is ideal for children. Paris is an exciting city for the whole family - and there’s plenty to see and do beyond the eiffel tower! The Parc de la Villette is great for children of all ages, the Jardin de Tuileries is good for older ones and animal lovers will enjoy the zoo at the Jardin de Plantes. Of course, we all know that for kids the most exciting thing about Paris is Disneyland - but that doesn’t mean you need to spend an extortionate amount to stay in a hotel on site. It’s only a short train ride from the centre of Paris, and it’s definitely possible to explore both parks in a day. Located in a peaceful suburb to the south of the city centre, Résidence Universitaire Lanteri offers comfortable rooms with free internet, private parking, and an outdoor terrace. 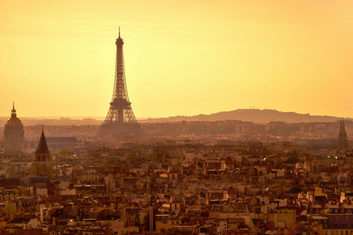 The centre of Paris is only 15 minutes away by public transport, and there are parks and shops nearby. Instead of walking everywhere, take a tour of the city on the petit tourist train. Kids will love the novelty, and it’s a great way to see the main sights without tiring them out. If you’ve got slightly older children, you could also rent bicycles and do your own city tour. If you want to get out of the city for a bit, take the free boat shuttle across the Rhône to Barthelasse Island. Here you can go canoeing and horse-riding, swim in the lake, or just explore the island on foot. 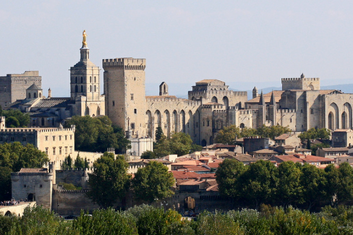 Located at the foot of the town walls, this modern residence is only 5 minutes away from the historic and artistic centre of the city of Avignon. The studios and apartments are all well-equipped with modern furniture, their own kitchen area and a private bathroom. Guests can also enjoy private parking and free internet. For even more budget accommodation options, make sure you visit UniversityRooms. We're always updating the site with new exciting places for you to stay!